Are you on the hunt for the best vegan pizza in Melbourne? Delivering the perfect pizza experience to the people of Melbourne is what our restaurant lives for. To satisfy this passion, we ensure our menu includes a range of vegan pizza delivery options. We offer both vegan and lactose-free cheese. This means you can enjoy our entire menu without missing out on the gooey, chewy goodness of cheese that is so central to the pizza experience. 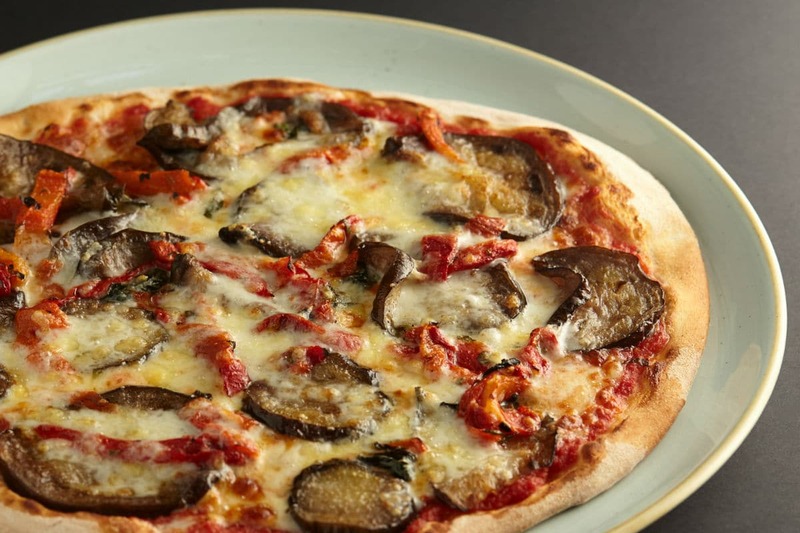 We also have a ton of vegetarian pizza options, ranging from the classic Melanzane to the indulgent Patata, and the obscenely tasty Zucca. If you need to eat gluten-free as well, there’s no need to worry. Our gluten-free base is the perfect solution. We’re also more than happy to chop and change our pizzas as much as you like. You can find us at our unbeatable location of Little Collins Street. We offer a casual dining experience, where you can enjoy our handcrafted classics, calzones, focaccias, as well as a range of tasty salads and naughty sweet pizzas (with plenty of vegan styles of course!). The best part is, you can enjoy them with your favourite tipple. Choose from our extensive selection or bring your own. It’s entirely up to you! Remember, we’re all about delivering the perfect pizza experience, and ensuring you get exactly what you want from your delicious disc of dough. We’re a customer-first restaurant. Whether you eat in with us or enjoy it from the comfort of your home, the entire process form kneading the dough to selecting the ingredients is all about giving you the best vegan pizza in Melbourne. We don’t choose cheaper ingredients, we don’t skimp on sizes we put love into every pizza we create. We do this because we love seeing the smile on your face. We love seeing people come together over good food, and we love providing this great city with a place they can rely on for a good slice of pizza. It’s a simple mission, but something we never get tired of.